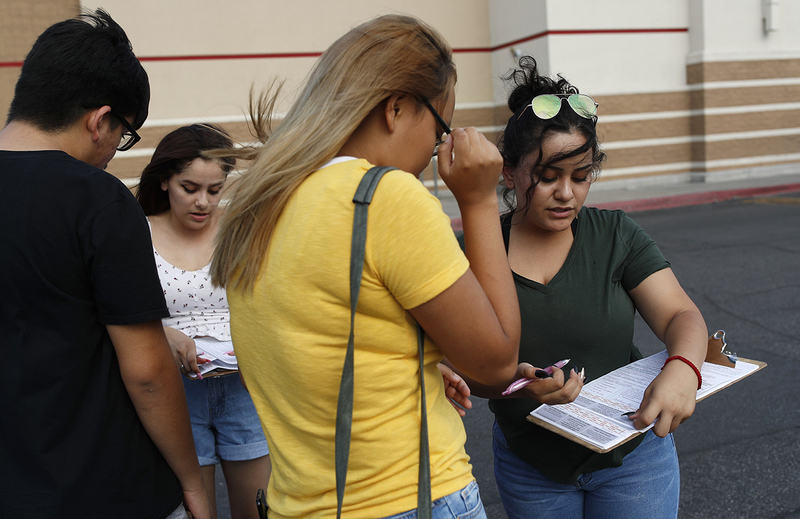 Pew Research Center defines the electorate as all citizens ages 18 and older living in the United States. We don’t account for those who have lost their voting rights, such as people convicted of felonies living in certain states, or those who can vote from outside the U.S., such as citizens living abroad and members of the armed forces stationed in other countries. Another important long-term trend is the overall aging of the electorate. In 2020, nearly a quarter of the electorate (23%) will be ages 65 and older, the highest such share since at least 1970. This reflects not only the maturation of the large Baby Boom generation but also increased life expectancy among older Americans. 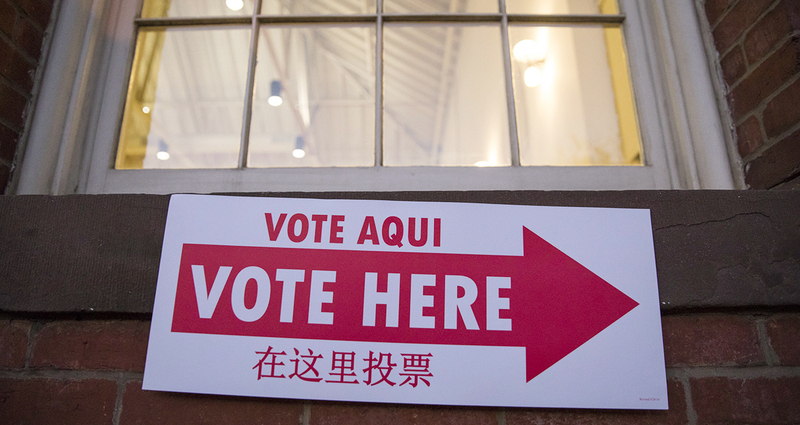 Baby Boomers and older generations, who will be ages 56 and older next year, are expected to account for fewer than four-in-ten eligible voters in 2020. 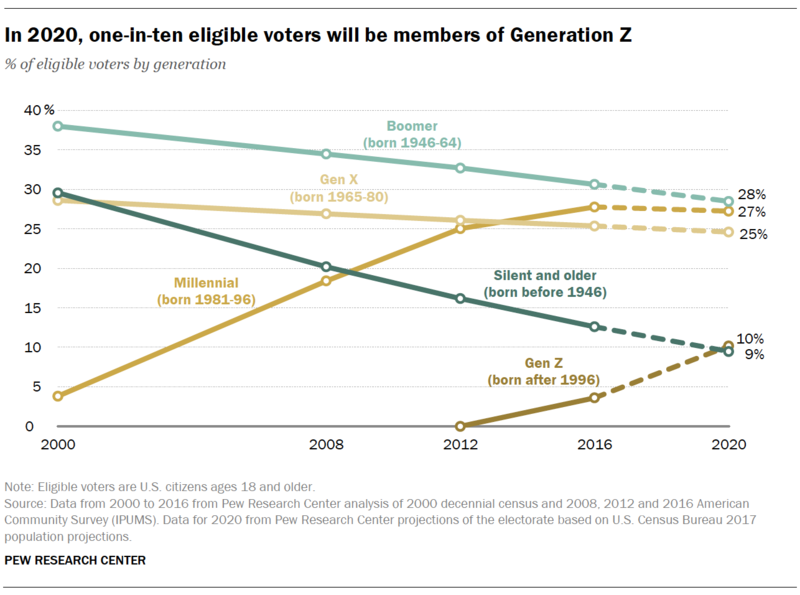 This is a significant change from 2000, when nearly seven-in-ten eligible voters (68%) were Boomers, Silents or members of the Greatest Generation (collectively, those ages 36 and older at the time). Even as recently as 2012, when the youngest Boomer was 48 years old, Boomer and older generations were about half of the electorate (49%). The next presidential election will also mark the first time that Millennials (who will be ages 24 to 39 in 2020) will account for a slightly smaller share of the electorate than they represented in the last presidential election. The raw number of Millennials eligible to vote is increasing due to foreign-born Millennials naturalizing to become citizens. But the Millennial share of the electorate has peaked as they are not growing as fast as the electorate overall. Differences in turnout rates again matter when talking about generations and should be kept in mind as election season gets underway. 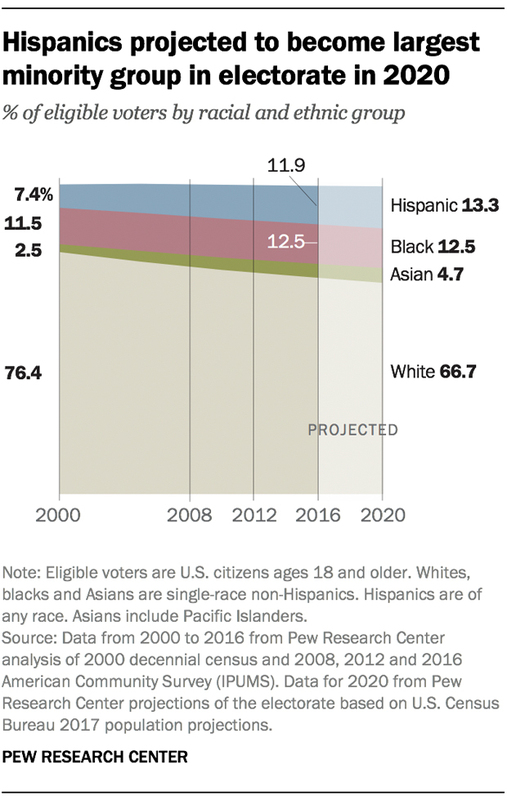 Since older adults are more likely to turn out to vote, it’s possible that older generations will form a larger share of actual voters in 2020 than their share in the electorate. That’s what happened in 2016: Even though Boomers and older generations accounted for 43% of eligible voters, they cast 49% of the ballots. View full details on our data and methodology.